Are the days of handwriting numbered? When was the last time you wrote anything by hand? Did you fill out a form or jot down items on a grocery list? When was the last time you wrote anything by hand? Did you fill out a form or jot down items on a grocery list? Send a thank you card for your birthday gift? Online stationer Docmail asked 2,000 adults about their handwriting habits, and respondents said that it had been on average 41 days since they wrote anything by hand. It also found that one in three of us has not had cause to write anything “properly” for more than six months. The convenience of typing on a computer keyboard or entering text via a touchscreen is making handwriting obsolete. Handwriting’s decline can be traced back further than your touchscreen though. 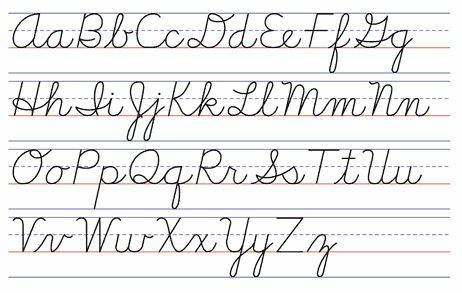 Back in the 1800s, handwriting transformed from ornate, calligraphic script to a simpler form of cursive we’re familiar with today. It became speedier and legible, which made business processes like accounting more productive. Then typewriters became the wave of the future, so time devoted to penmanship lessons was significantly reduced to allow more time for typing skills. In the 1990s, when computers gained popularity at home and in the office, teaching handwriting became even less of a priority.